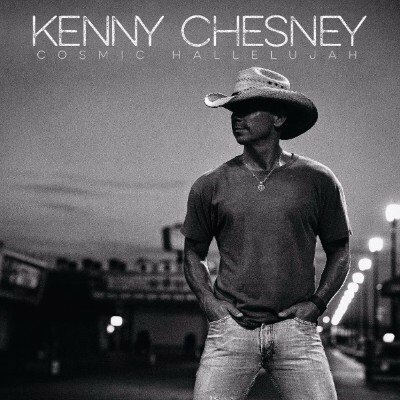 Nashville, Tenn. — When Kenny Chesney switched the lead single to “Noise” nine days before the launch of Cosmic Hallelujah, people thought he was crazy. But the song – written, recorded and mastered in three days – spoke to the toxic information overload in a way that felt urgent, and the 8-time Entertainer of the Year decided to let the music speak to the 24/7 rush of constant connection. From that moment, everything about the songwriter/superstar from East Tennessee’s 16th album defied conventional wisdom. Co-produced with Buddy Cannon (Willie Nelson, Merle Haggard), Cosmic Hallelujah marked a progression from The Big Revival, both groundbreaking records for Chesney. Reflecting the kindred spirits of the No Shoes Nation, who are voracious to live life, Chesney’s fourth Grammy nomination stands as recognition for finding the intersection between connecting through traditional mainstream media/radio and creating music that digs a little deeper. Country Music News Blog participates in advertising programs that help fund the operation of this site. For more information please visit our privacy statement. This entry was posted in Grammy Awards, Kenny Chesney, Press Releases by Shauna "WhiskeyChick" Castorena. Bookmark the permalink.